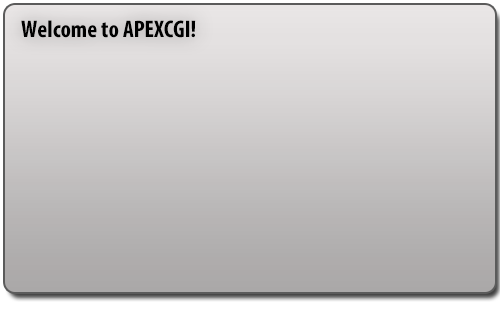 APEXCGI is growing worldwide rapidly, but still we want UNITED STATES to use APEXCGI's Services. 20% discount for UNITED STATES only. Do You Know That United States is #1 in Hosting? 14 Days Unconditional Money Back Guarantee when you are unsatisfied with our service simple ask refund without being asked question. We provide 99.9% Uptime Guarantee if we fail to provide that get hosting for free, currently there are very occasions in where we fail to maintain 99.9% upime. We accept PerfectMoney because it enables you to make private payments, all your data would be kept private unless we receive an court order. Our hosting is powered by worlds top third party tools like RVSiteBuilder, LiteSpeed, CloudLinux, Fantastico, Installatron, Softaculous, CSF, ClamAV and many other third party tools, these tools enhances performance. Our Hosting is different from other hosting because we offer online statistics and live tools, through which you can monitor your monthly traffic, AWStats enable you to view the full reports of traffic visited your site. Coming From Another Hosting, Move to Us Now! Learn about our clients, what they say and how it works? Please click the following button to view our testimonials.